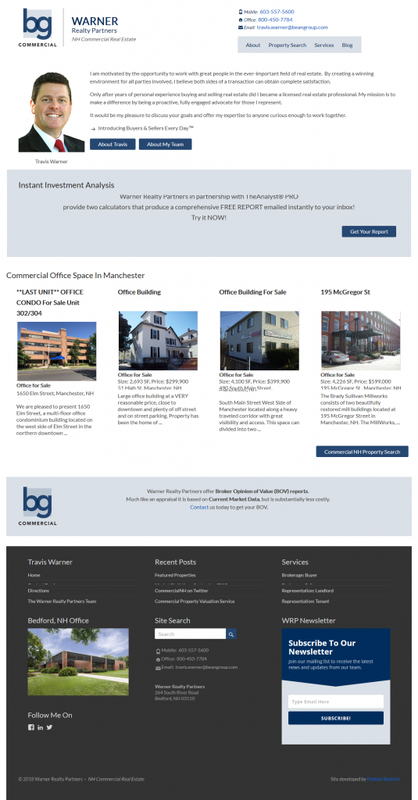 Highly customized version of WordPress Spacious theme by Theme Grill. Removed unneeded CSS @media queries for optimal performance. Developed a custom WordPress shortcode to render properties from Catylist MLS on the page. Cached for 12 hours for performance. Good boost for SEO. Customized Property Search and Display using WP Properties, with no monthly subscription fees. Good for SEO. Running SiteGround SuperCacher: Static Cache, Dynamic Cache, Mem Cache. SiteGround Anti-Bot AI protection against brute-force attacks.